A good, non-flashy example of The Internet of Things at work, on a farm, from Ofcom. I like this because it shows a practical use, and you can imagine it making a real difference to how farming works. Fertilizer, fodder and water distributed across the farm in the right quantities, in the right places, and at the right time. In the future low-cost wirelessly connected machine-to-machine (M2M) sensors are likely to be sown into fields to measure moisture at different depths below ground. This information will be beamed wirelessly to a central control system, which sends water to the crops that need it and at a rate that best permeates the ground with minimum waste. After harvest, grain stores need to be cooled to preserve cereals and minimise any insect activity. M2M communications would also be used to monitor and control the storage conditions of these crops, reducing energy costs, improving food quality and reducing wastage. Better tasting, more nutritious crops produced with less water, fertiliser, pesticides and energy. With a growing population, there is an increasing demand to improve the productivity of farmland while also protecting the environment. Studies show that M2M irrigation systems can produce water savings of 70%, reducing the need for fertilizers and pesticides and lowering the environmental impacts of farming. Not only that, smart irrigation techniques produced sweeter fruit with higher vitamin C levels. Emerging today and mainstream in 10 years." #BarBandits by Carlsberg from Konstellation on Vimeo. Carlsberg beer taps were wifi-enabled, to that they could connect with a large screen in the bar. Patrons would upload an Instagram picture with the tag #BarBandits and the name of the bar. Your picture would then appear on the screen in the bar, and when the bar staff pulled the Carlsberg tap, a 'fruit machine' style game started; if your pic came up in a run of 3 you won a free pint. 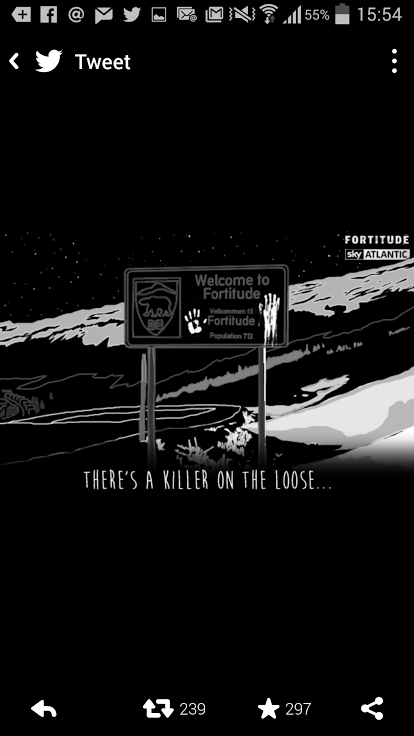 I'm not quite sure how this is done, but click on this tweet from Sky Atlantic - then click on the picture, and you'll see it change. Update - The guys at Tommy know how it's done: "If you saw this clever tweet from @skyatlantic and wondered how it was made, it was done with a transparent PNG @twitter has a white background and the picture viewer has a black background"
Yesterday Snapchat launched their new 'Discover' feature - daily stories from a collection of media partners, including Yahoo News, Mail Online, Cosmopolitan, Vice, MTV, Comedy Central, CNN and more. When you open the tab and tap on an icon, you get about 5 stories - swipe down to get more of the story, from right to left to get a new story, and up to close. Stories can include video or text. The Yahoo News feed, of example has Katie Couric presenting news stories. Items are quite 'tabloid' - the Mail has stories about The Kardashians, and also US-focussed - the New York blizzard for example. The providers vary by country. In the video above it shows that US has ESPN and Comedy Central, which we don't get in the UK (rights reasons, presumably), but sport is covered here by Bleacher Report. It seems to work seamlessly, and I'm sure will get lots of traction. You can also see brand feeds integrated - maybe Coca Cola for The Olympics next year, for example. I'm not sure what the deal is with the channels - who pays who? - but I'm sure this will become clearer. 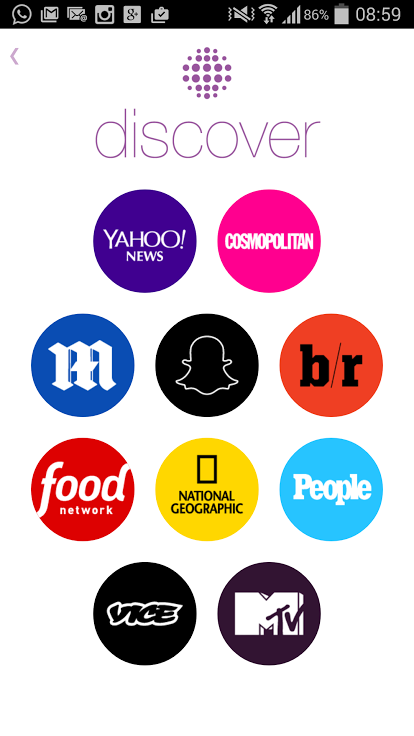 "Snapchat has been working on Discover for months with major media companies to plan their channels, and there will be advertising on them, according to sources. The media companies will be able to sell ads and share revenue with Snapchat, sources said. "They're going to have publishers posting daily content to micro-sections of Snapchat that can be monetized," said a top digital ad executive with clients who have been pitched on buying ads in Discover. "[If] Maybelline wants to advertise on the Cosmo section, they negotiate with Cosmo." It completely changes the Snapchat experience for me - few of my friends use Snapchat - and will probably greatly add to the experience for regular users. It also puts Snapchat up against Facebook and Twitter more than ever before - it's now a place to go on your phone to find out about what's happening in the world, and not just for messaging. Economy passengers could play a 'Fruit Ninja'-style game while waiting for their flight at Asian hubs for Air France. - winners got a seat in the new business cabin. It's a nice stunt, and clearly they had the flexibility only to let people play when there was spare capacity. But... Just one seat? So you have to leave your friends behind? “We currently support our local community by providing some of our most loyal customers with a 10% discount and appreciation weeks a couple times a year,” said owner-operator Luke Humbard. “During those days we offer free desserts and make sure to tell them we appreciate them coming to us on their thirty minute lunch breaks. What prompted the message was a press conference that signaled a factory line might be moving out of the city of Toledo. 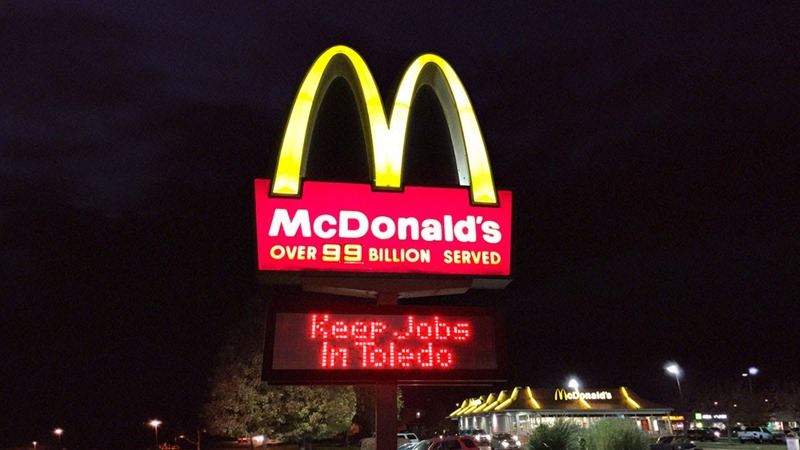 This could mean a loss of jobs for the city of Toledo.” If you spend any time in northwest Ohio, you quickly grasp how important manufacturing is to the local economy and so many of the city’s residents." 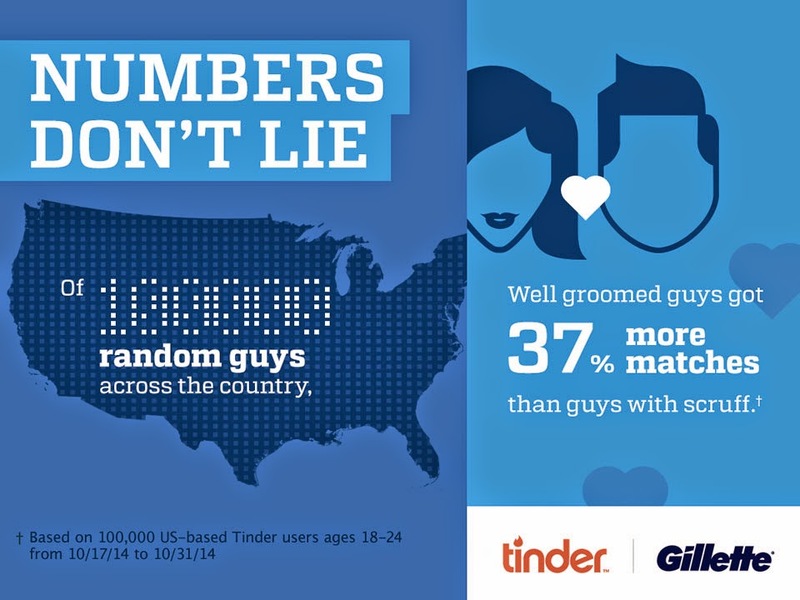 Gillette has done some research with Tinder to show that women prefer men with well-groomed facial hair over more unkempt ones. Tinder was able to analyse 100,000 men's profiles, first taking ones with 'hairy, unshaven photos' and then ones with 'well groomed' ones, and found out that well groomed men got 37% more matches. 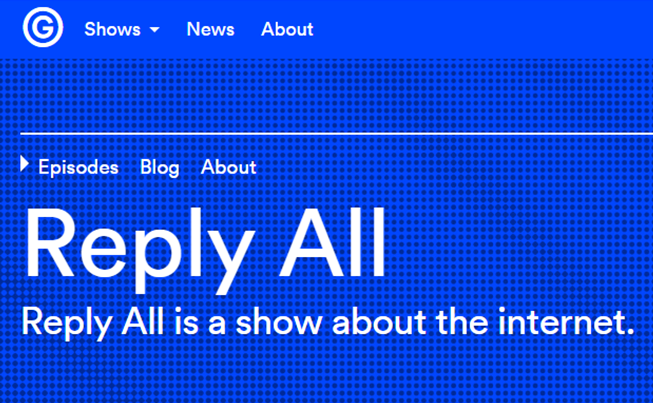 See the full site ShaveTest here - with lots of shareable images. I'd love to know if money changed hands for this trial! I also think it's interesting that Tinder are mining their data for things like this, in a way pioneered by OK Cupid - Tinder is also owned by IAC. 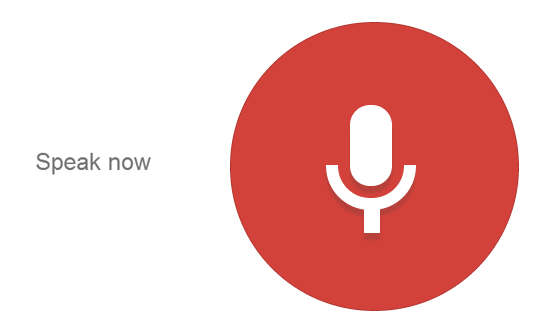 One of the trends in my 2015 trends deck was 'Voice' - that is, the rise of voice search, people speaking to objects and more, and generally using voice rather than a keyboard. This is fine if your brand's name is easy to pronounce, but if it's not it could bring problems. What if it sounds like something else? What if people don't know how to pronounce it? In an episode of The Sopranos, Tony talks about 'Hermeez' (it's 'ermez). I had a Chinese colleague who was crazy about Aquascutum, but couldn't pronounce it - and I think this is quite a common problem in China. What about Mui Mui? Chloe Sevigny? Nike? (Nissan) Quashqai? Xiaomi? 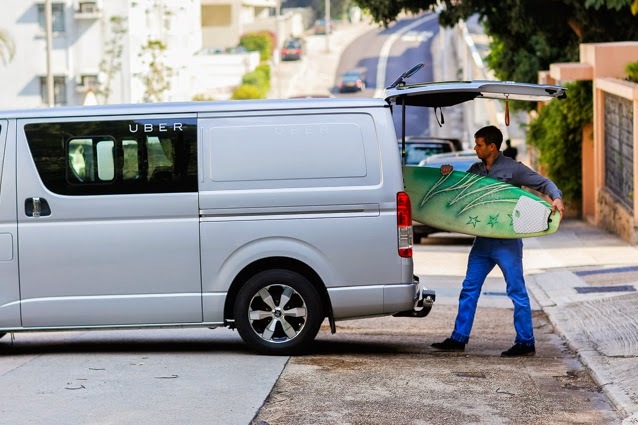 Uber CARGO is an 'of course!' extension / experiment from Uber in Hong Kong. Instead of ordering a taxi, order a man with a man to take you and your bulky items anywhere, e.g. if you've bought some furniture, or you want to go surfing. Initially just in Hong Kong, but I can see this taking off. I'm sure almost every major city in the world has lots of 'man with van' operators - why not formalise it? I'm surprised that this has taken so long to arrive, but iDevices Switch is the first Apple HomeKit-enabled plug, which you plug other devices into, meaning that it can turn on lights and devices from commands from your phone, including spoken commands via Siri. One of my 10 Trends for this year (now at 30,000 views on Slideshare) was the rise of new news organisations, and probably the most powerful of these is Buzzfeed. Everyone thinks of lists and fun stuff with Buzzfeed, but did you know that they're also making video ads for clients, using their editorial skills to make engaging films that people will want to share (& potentially cutting out agencies). In December Google announced that it was rolling out store visit measurement to some businesses in the US. Essentially it allows advertisers to see if people exposed to their ads then visited their stores. "PetSmart, the nation's largest specialty retailer of pet supplies, uses store visits data to improve its customer shopping experience -- today, this often starts with people researching online and then visiting a store. 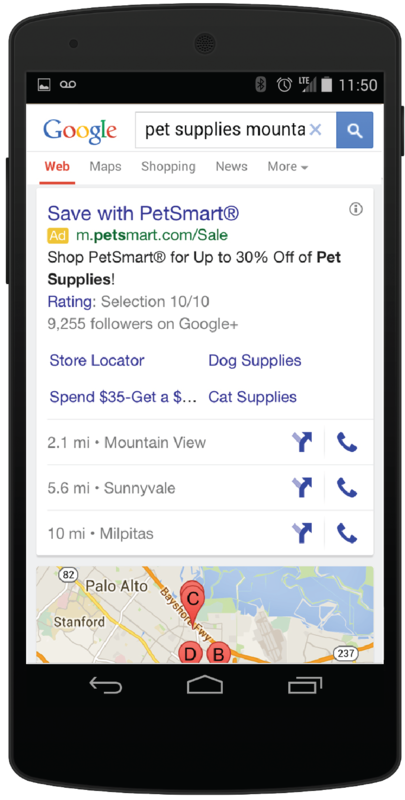 Based on the insight that 10-18% of clicks on search ads lead to a store visit, PetSmart is now investing more in ads that reach customers across screens. For example, PetSmart has increased use of location extensions in their ads to show maps and directions to help people find nearby stores when they are searching for products like puppy treats or aquariums." OfficeDepot - which products drive visits to which stores? "Office Depot, Inc., formed as part of the merger of Office Depot and OfficeMax, is a leading global provider of products, services and solutions for every workplace -- whether your workplace is an office, home, school or car. The company uses insights from store visits data to understand which products, such as laptops, printers or backpacks, are driving people to visit one of its 2,000 Office Depot and OfficeMax retail locations. These insights help Office Depot, Inc., decide which products to include in its local inventory ads. These ads show whether or not a product is available in a nearby store and where the nearest store is located. This makes it simple for customers to discover what products are in stock as they’re shopping and researching online." As with lots of these things it's US-only so far, but I'm sure it will come to the UK soon (ish), and Google will start to get closer to discovering the link between online advertising and in-store sales. (Note that this is tracking visits to the store, not any purchased within the store). I'd also expect there to be lots more interest in other companies in a similar space, like Place IQ, and Placed, and also for Facebook to develop something similar. I really like podcasts, but some of them fail to capitalise on what is different about podcasts to blogs (you can discuss things), and generally let the participants go on & on for too long. ReplyAll suffers from neither of these faults. So far we've had 7 fascinating episodes of about 15-20 minutes each, covering lots of diverse subjects. Serial ended a couple of weeks ago, and while I found it interesting and really enjoyed it, I have strong misgivings about it. I - It was too much of a discourse. I don't think we learned more from it being a week by week examination than we would have if it had been a retrospective look (& bear in mind that they'd been working on it for a long time before any of it was broadcast). 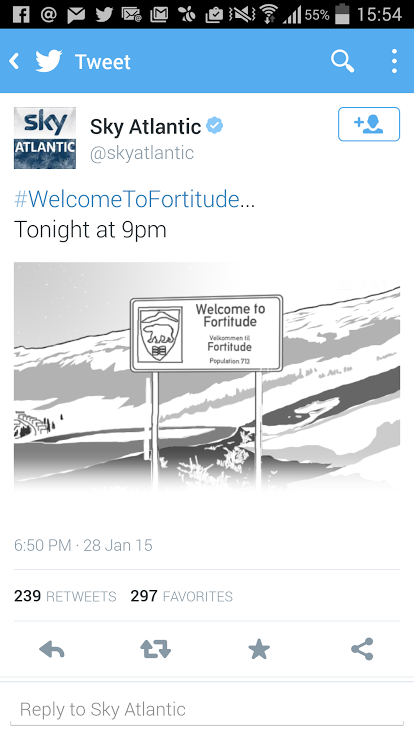 I know it's a different sort of show, but I think Rough Justice, where you saw the whole story, was much better. 2 - The best episodes were ones with external experts giving their views, rather than the presenter theorising, for example episode 7 with Deirdre Enright, or episode 8 where they talk to a former detective about the case. 3 - The experts made points that they'd missed, or wouldn't have thought about for weeks, the most obvious example was Enright's team's discovery of a credible potential suspect that the Serial team hadn't even heard of, which was introduced in the final episode. I will listen to series 2 of Serial, but I hope that they can structure it better, and spend more time talking to credible third parties.